Short-term U.S. bonds have been rising slowly as long-term bond yields have been dropping, leading to a “flattening of the yield curve.” Such a dynamic helps bond analysts and economists to determine if there’s an economic slowdown or even inflation on the horizon. 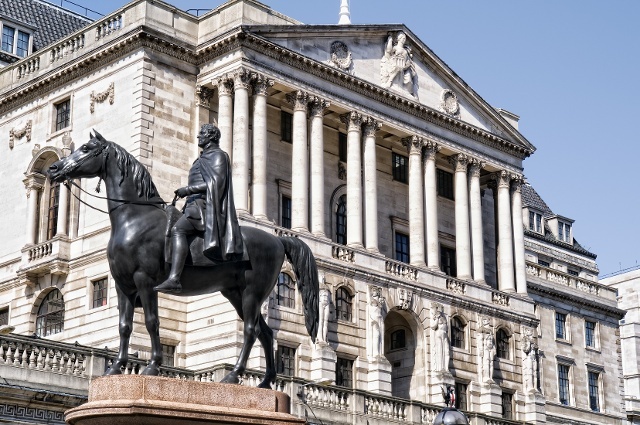 The Bank of England launched its biggest stimulus package since the financial crisis with its first rate cut in more than seven years and a new £70 billion bond-buying program. The bond-buying program will include £10 billion sterling denominated investment-grade corporate bonds and the remaining £60 billion will comprise purchases of government debt. Britain’s central bank, the Bank of England, issued a negative outlook, stating that British households faced a poorer future. The Bank of England is forecasting that unemployment will rise, housing prices will fall and inflation will go up. The Bank of England is joining central banks in Japan and the Eurozone in buying large amounts of sovereign bonds, as global benchmark yields continue to descend to new lows, exacerbating the matching of future long-term liabilities for pension plans and insurance companies. The amount of global negative yielding debt has now risen to $12.64 trillion, and is dominated by European and Japanese bonds. The Fed continues to be at odds with other central banks worldwide, as lower rates and stimulus efforts are underway in Europe and Japan, while the Fed prepares to tighten in the United States.